It's been a couple of months since I blogged about House's season four premiere (now filed under "House" instead of "Other Shows" in the TV Club archives, by the way), and in that time, House has more or less backed up my contention that it's not just another procedural show, but a procedural that constantly tinkers with and even abandons its formula in the name of furthering its themes. In season one, House seemed to be mainly about the frustrating uncertainty of medical science, and that nagging sense that every hospital patient gets that their doctors and nurses really don't know what they're doing. By the end of the season, the theme changed a bit, and the show had become more about House himself, and how one man can become so ornery. In seasons two and three, the writers tried healing House, tormenting House, and throwing him in and out of various relationships (friendly and amorous), in order to question whether brilliance and obnoxiousness naturally go hand-in-hand, and also to examine just what it takes to get close to someone so impossible. This season has been all about the shadow House casts over the people who get that close. The introduction of a new batch of recruits for House's diagnostic team has offered the dark comedy–and occasional tragedy–of would-be protégées trying to out-think and out-pace a master of double-talk and deception. Meanwhile, House's old team has been scattered to the winds (but not too far, since the actors are still under contract), and we've gotten to see how they function in reaction to their old boss. Chase has become an arrogant wheeler-dealer. Cameron is trying extra-hard to be compassionate to patients. And Foreman? Ah well, he's become the most interesting character on the show. Previously relegated to the know-it-all antagonist role, Foreman started this season getting fired from a diagnostician job because he was too House-like, and is now back on House's team as a sort of co-House. And his old boss seems to like it. No longer treating Foreman as a student, he's started treating him as a peer–maybe the only peer he really respects. It's been a great dynamic. Tonight's episode was a good one to herald the full-time addition of House to The TV Club, because it was a mild rebuke to those who say that the show is the same week after week. Tonight was one of those more-frequent-than-detractors-think formula-breakers. A documentary film crew enters the hospital to follow the progress of one patient: a 16-year-old who comes in for surgery to reconstruct a face marred by extreme encephalitis, and ends up suffering from a mysterious heart ailment. With the crew around, everyone–except House, of course–worries about whether they're going to look good for a potential movie-watching audience, which throws off the usual flurry of diagnoses. Or put more accurately: The diagnoses are still there, but they're tempered by a lot of worry about appearances. "A Lot Of Worry About Appearances" would make a good alternate title for this week's House. In addition to the encephalitic teenager and the posturing for the film crew, House worries that his new impulse hire–a pretty ex-CIA doc played by Michael Michele–isn't as smart as he thought she was, and that his attraction to her is keeping him from recognizing that she doesn't belong. Actually, "Ugly" may be too fully integrated, theme-wise. House is best when it lets ideas skitter playfully throughout an episode, rather than having them dominate every single scene. That said, it's always impressive when TV writers take pre-existing elements in a show and cleverly put them in service of a given week's story. This week it was wannabe team member Taub, a plastic surgeon who confesses that when he looks at people, he sees "what could be" rather than what is, and who complains that House doesn't really want to fix the patient's lumpy face because, "You don't think normal's healthy." Taub's preoccupation with external perfection–which extends to him cutting a deal with his ex-employer in order to keep his predilection for sexual indiscretions from leaking out–backs up House's contention that truth matters more than ideals. Finally, in a smart capper to the idea that appearances can be deceiving, the episode ends with footage from the finished documentary, in which all of House's sarcastic lines–"I became a doctor because of Patch Adams! "–get re-cast as sincere, making him look like a hero and a dink. House's response? "Now I don't feel like I can trust Michael Moore movies." "I know. That's why you're ugly." -A surprise cut from the diagnostician pool this week, with the quick exit of Michael Michele. (Though I doubt we've seen the last of her on the show.) 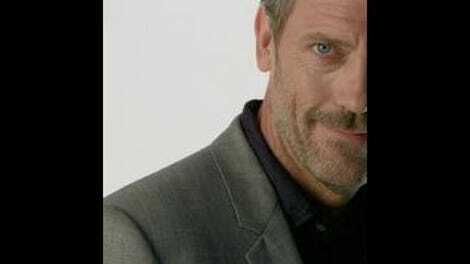 It's hard to guess who House will cut or why, given his general perversity, but since the introduction of these new doctors has been entertaining, I'm in no hurry to see them go. -"Walks look good on camera. They give the illusion of the story moving forward."